Today I'm featuring my current read, What's Become of Her by Deb Caletti. 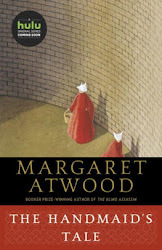 The excerpts shared are from a trade paperback edition that I borrowed from the library. In about twelve minutes, Isabelle Austen's old life will be gone forever. Right now, though, the seaplane is still in the air, out of her sight, a few miles off the coast of Parrish Island. Page 56: "Not the most cheerful guy to spend your life on, if you ask Isabelle. Still, she respects this, too, his knowledge and experience and passion." My thoughts: Isabelle Austen is reeling from a divorce and the recent death of her controlling mother. When she travels to Parrish Island to settle her mother's affairs, the last thing on her mind is beginning a new relationship. Yet, when she meets Henry North, she is instantly attracted to him, and finds his mysterious past alluring. Is Henry the man of her dreams, or does he have a dark side that could endanger her? 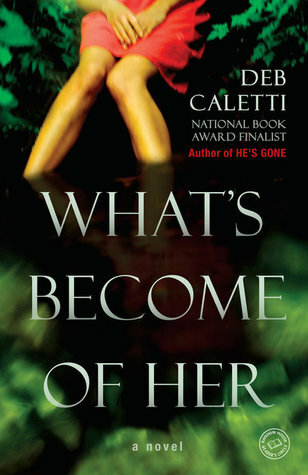 I am happy to at last be reading a novel by Deb Caletti, an author who has been on my radar screen for quite some time. This story drew me in immediately and is holding my interest. I can see myself burning the midnight oil to find out how it unfolds and concludes. From Goodreads: Isabelle Austen returns to her hometown on a small, isolated Pacific Northwest island to take over the family tourism business after the death of her mother, a disapproving parent and a hard woman to love. Feeling lost, Isabelle is also struggling with a recent divorce and wondering if she'll ever come into her own. Then her life takes a surprising turn: The mysterious Henry North arrives on Parrish Island, steps off a seaplane, and changes Isabelle's world forever. From the beginning, their relationship is heady and intense then Isabelle learns of Henry's disturbing past, involving the death of a fiance and the disappearance of a wife. Suddenly Isabelle is caught between love and suspicion, paranoia and passion, as she searches for the truth she may not want to find and is swept into a dangerous game she may not survive.